A car accident can be a shocking and traumatic experience. According to the Illinois Department of Transportation, there were 60,252 injury crashes in the state during the year 2012 alone. No one wants to think about the possibility of an accident, but by making a few preparations now, drivers can avoid future difficulties and decrease the risk of legal complications. It is important to review insurance policies regularly and know exactly what they cover. Statistics compiled by the National Association for Legal Professionals show that more than 20 percent of American drivers are uninsured or underinsured at any given time. If policies do not cover the cost of towing, replacement rentals, damage to uninsured motorists or other common issues, drivers could find themselves footing the bill. Therefore, drivers should carefully consider what their financial needs may be in the event of an accident and meet with their insurance agent to discuss their options. A documentation kit fits easily into the glove compartment, making it accessible in the case of an accident. The first minutes after a car accident are sometimes overwhelming and confusing. 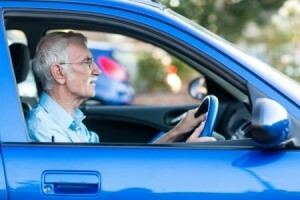 It is important for drivers not to say anything that might lead to legal complications later on. Even if drivers feel they are at fault, they should never admit guilt in a crash. A driver should seek legal counsel before speaking with friends or colleagues about the event. Although there may be no signs of injury at the scene, problems can occur later, calling for possible legal action and compensation. Therefore, people should never tell others that they feel ‘okay’ or ‘fine’ as that could lead to a denial of benefits. Don’t wait for an accident to strike unexpectedly. You can protect yourself before a crash occurs. For more information on your rights and responsibilities as a motorist, get in touch with a local attorney today.